A recent social media post by Joe Rogan has stoked interest in an athlete from yesteryear. Russian super heavyweight wrestler Alexander Karelin who with an unbelievable record of 887 wins with only two losses. Was recognised as one of the most feared professional athlete’s in history. So dominant in the sport it led his competition and the world’s media giving him many nicknames including “The Experiment,” “Russian Bear”, “Russian King Kong” and “Alexander the Great” implying that he was the result of some sort of Russian science experiment. Standing at 6’4 Karelin wrestled at 289 lbs. It’s on record that he could clean and press an unbelievable 420 lbs in weight. In a move which became known as the “Karelin slam”. He would lift up his opponent while they were lying face down on the mat and trying not to get lifted, throwing them over his shoulder onto the mat. This bit of footage is the intro for Karelin’s 2000 Sydney Olympic games appearance. The most successful Greco-Roman wrestler of the modern era. Having won twelve European Championships, nine World Championships, and three Olympic gold medals during his reign. His dominance in the sort is unparalleled having won every match he entered for thirteen years. Going ten years without ever giving up a single point. Alexander Karelin grew up in the depths of Siberia, having all the hallmarks of a real-life superhero. He is also friends with UFC Greco Roman legend Randy Couture. And the great Fedor Emelianenko looks up to him as a sporting great. Fedor himself is quoted as saying that if Alexander had become an mma fighter, he would have dominated in the sport. Someone asked him once asked Karelin who was his toughest opponent? His response was “my refrigerator.” Apparently, he was moving house and decided he would carry a massive refrigerator up six flights of stairs all by himself. 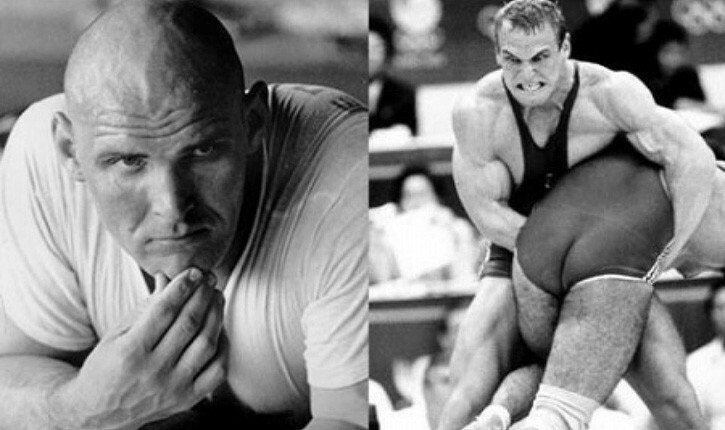 They’re is tough, then there Karelin tough ladies and gentlemen.